Grumpy Gamer - Best. Ending. Ever. 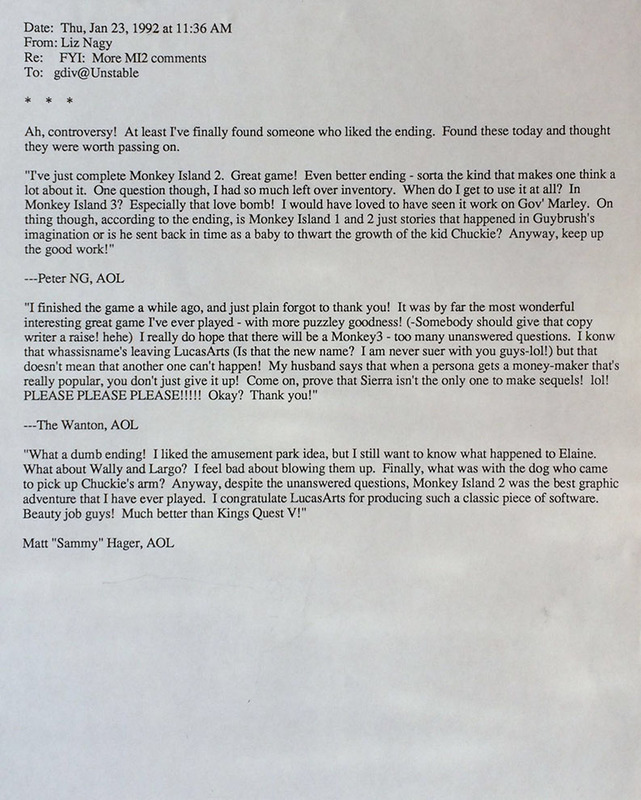 An email sent to me from LucasArts Marketing/Support letting me know they "finally" found some people who liked the ending to Monkey Island 2. I think that putting "ending" in the title is a spoiler warning. :) I also think this game is 27 years old and it's a darn shame if you haven't played it yet. What are you waiting for? The special special edition? Go play it already! @Eren: You are joking, right?